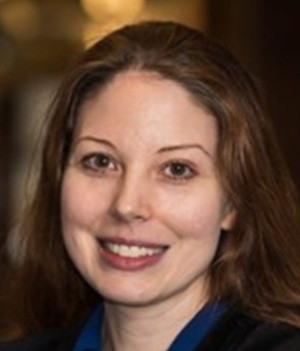 Rose Hemlock is the director of agile coaching at WWT Asynchrony Labs in St. Louis. In this interview, she shares how she got interested in information technology and what she currently does at this fast-growing IT consulting organization. Brooke (BL): Tell us how you got your start working in the tech industry. Rose Hemlock: In 1997, I was working nights in a Kinko's computer lab, when I happened upon a book entitled HTML For Dummies. This book led me to spend my spare time over the next few months building websites. I managed to learn more by viewing other people's code, pulling it apart, and experimenting to see what I could get it to do. Rose Hemlock (RH): In 1997, I was working nights in a Kinko's computer lab, when I happened upon a book entitled HTML For Dummies. This book led me to spend my spare time over the next few months building websites. I managed to learn more by viewing other people's code, pulling it apart, and experimenting to see what I could get it to do. I started building company sites for free as a means of building up a small portfolio. Eventually, I moved into eCommerce technologies and started my small company while still working my day job. BL: Have you always had an interest in technology? If so, when and how did your interest begin? RH: I always felt drawn to technology, and much of that was due to growing up in the 80s. Cutting-edge technology was part of youth-culture identity at the time. Movies where technically adept kids were depicted as heroes had a big impact on me. Even our music was based on technology—I fell in love with electronic music and begged my parents for a synthesizer. In the 80s, nothing was cooler than the kid who had both a Commodore 64 and a Korg (I had neither, but I wanted them). BL: What about some of the other related fields such as math, engineering, and science? Did you take a lot of coursework in these areas during high school? If so, what specifically? RH: Unfortunately, I did not. The way STEM was taught at the time was tedious, and there was still a gender bias that impacted how counselors advised students when choosing courses. From an early age, I was labeled "gifted," but in the stereotypically girl-appropriate areas. I, therefore, developed a resentment toward math, because it did not come easily to me like, other subjects did. This resentment changed when I had to take a geometry class in high school because my teacher visualized problems spatially. Learning how to depict a problem demystified math and science for me. So much of my challenges with math and science were rooted in my attitude toward them, and what other people told me was true about myself. Fortunately, a good teacher found a way to undo both misconceptions. BL: During K-12 and college, did you participate in any other related activities, clubs, etc. that have been beneficial to you and your career? RH: Art, music, and theater were all valuable to me. As we now know and have several studies that show it, emotional intelligence is the "X" factor for team success (and in my experience, personal happiness). Being immersed in the arts helped me develop my ability to identify and understand emotions, and grow my mindfulness of how I react to others. It also taught me to welcome feedback and be strong enough to decide what to do with the feedback. While live performance and peer critiques can be brutal, the experience does help to develop humility, integrity, and honesty, and to face your fears. BL: What did you major in during college? BL: Tell us a little bit about WWT Asynchrony Labs and what the company does in the technology industry. RH: WWT Asynchrony Labs is the software development arm of worldwide technology. I believe we are unique in our industry because of how we structure our teams and our relationship with our customers. We build software solutions in true partnership, following Agile values and principles, to deliver the most value to our customers as quickly as possible. BL: For some of our readers who might not be familiar, how would you describe Agile in practical, everyday terms? RH: Agile is a set of four values and twelve principles that have their foundations in extreme programming and have been proven highly effective in helping organizations and teams improve the way they work together to deliver software. Agile is not a process, a framework, or even a set of practices, though certain concepts such as self-organized teams, continuous integration and delivery, fast feedback, and value-driven decision making are essential. Agile is a pragmatic mindset that, when shared by all members of an organization, can be the biggest differentiator in helping that organization grow, innovate, and be a great place to work. BL: Can you share with us what your typical day looks like as the director of Agile coaching? RH: The coaching practice at WWT Asynchrony Labs employs world-class agile coaches who are renowned for their contributions in our industry. Every day I start with a moment of gratitude for what I have the privilege of doing: coaching and leading some truly inspiring, revolutionary thinkers. This perspective sets my day and my intentions. My goal is to inspire, not just motivate, so I make sure I balance the work of leading practice with activities that will result in deeper relationships with the coaches I lead and the people we serve. The majority of my time is spent helping people grow their leadership and coaching skills; that includes everything from having one-on-one sessions where I listen—and hopefully provide helpful insight into specific challenges our people are encountering, to collaborating with other leaders in our organization to tackle strategic projects that will support our ongoing growth and innovation. BL: It sounds like you have a great interest in coaching and mentoring. What do you find enjoyable about that aspect of your profession? RH: Coaching is a humbling profession. It reminds me that we are all still learning, and can always improve, no matter how successful we are or how many years of experience we have. Life is not about where we "arrive." Goals are fine, as long as happiness or success are not being placed on the other side of achieving those goals. Otherwise, we will always be moving the goalpost with every achievement and never respect and appreciate the present. Everyone can benefit from coaching and mentoring, and I get to learn more about myself from the people that I coach and mentor. BL: How would you lay out the differences between Agile coaching, mentoring, and training? RH: Coaching is strategic; it leverages deep industry-specific expertise and focuses on specific outcomes. Whether the outcome is improving something the team already does moderately well or helping the team sort through a complex problem, there is a clear understanding of why the coach is there. Mentoring is a one-to-one relationship that is long-term and does not necessarily exist to solve a specific problem. In mentoring relationships, I am careful to avoid coaching unless the person wants that kind of proactive push. Training is a different animal entirely. BL: What would you say makes someone a great agile coach? RH: There is no one right answer to this because a great agile coach is a coach who is right for the team. We have a variety of agile coaches all with different personalities, coaching skills, and backgrounds—one size does not fit all. The values that we share in common, however, are important: trust, empathy, humility, and integrity to name a few. It is easier to say what makes a bad agile coach: someone who thinks following a process means the team is agile, someone who does not listen to learn, someone who wants to be seen as saving the team instead of helping the team help themselves. BL: In your profession, you work with a lot of teams. Can you explain how this works? Do you have teams working onsite with customers or do they work from within WWT Asynchrony Labs? What does a typical customer engagement look like for your software teams? RH: The typical engagement is comprised of a software development team working on-site at one of WWT Asynchrony Lab's locations. Teams are comprised of a delivery lead, quality advocate, user experience expert, delivery engineer, and developers. The customer provides the team with a dedicated product owner to make decisions on the priority of work, answer the team's questions, and provide approval of completed work. In certain cases, we may add coaching to address specific areas that the team wants to improve, or to coach the customer product owner in how to fulfill their duties. Ultimately, our teams are highly self-organizing units that function best within the culture of WWT Asynchrony Labs, with support and clarification of their boundaries provided by the team's leadership. Our teams focus on fast delivery of value, which typically means getting working software into a production-parity environment that users will provide regular and useful feedback on. Our relationship with our customer is at the core of everything—our success is dependent upon our customer's engagement and support. BL: About a year ago, Asynchrony Labs was acquired by World Wide Technology and is now known as WWT Asynchrony Labs. Tell us more about WWT. RH: WWT is an award-winning, full-service technology company which means they offer hardware, software, integration, and professional service solutions and have deep expertise across a multitude of sectors. A unique aspect of WWT is that the entire organization abides by meaningful values. Those values are trust, humility, embracing change, passion, attitude, being a team player, and honesty/integrity. These values are 100% aligned with the four values and twelve principles of agile, which makes working for WWT as an agile practitioner a natural fit. BL: I imagine being a leader in technology within a small organization is much different from being one in a larger organization. How do the skill sets differ when it comes to leading software delivery teams for a smaller-sized company to a much larger one? RH: There is a greater emphasis on gathering data and generating insights across our teams to see where leadership can help the organization improve overall, which I find exciting. In a small organization with only a few teams, it is easy to optimize locally, rather than focus strategically. I love that we are now focusing ourselves on telemetry, knowledge sharing, and scalable practices that serve our goals; I am now in a position to consider how our teams contribute to a greater organizational goal, and a larger international corporate identity-one that we should all be proud of. BL: Can you share a few ideas young girls interested in technology might consider along the way? Also, any helpful advice on what she can do to break through and land that first technology position? RH: The advice I wish someone would have given me is this: do not believe the stereotypes about technologists. You don't have to be a genius at math or science; you don't have to dream in 1's and 0's or have hacked your high school attendance system. The most important thing you can do to have a career in technology is to choose it. Choose it every day, even when it feels frightening. Wanting something is not enough—you have to take action. Build your portfolio on Git, experiment with different technologies, ask for help, and make allies who will then recommend you for jobs. Go to meetup groups, and get involved. Build relationships. At the end of the day, no matter how gifted or knowledgeable the technologist, we all want to work with someone who is passionate about this industry and wants to learn, right alongside the rest of us.